1766c David Thomas was born (in Ruthin - 1766c). 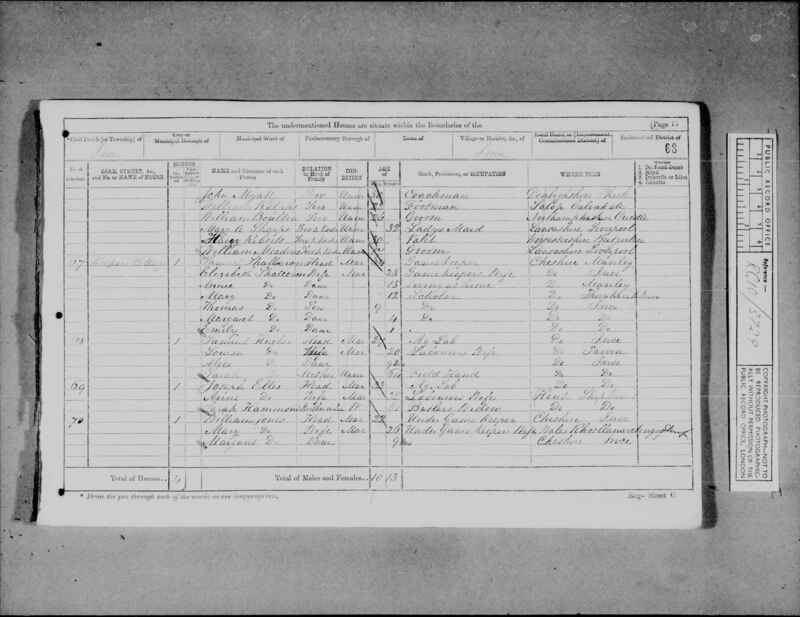 David was Joseph Thomas's father (born in Ruthin 1811). 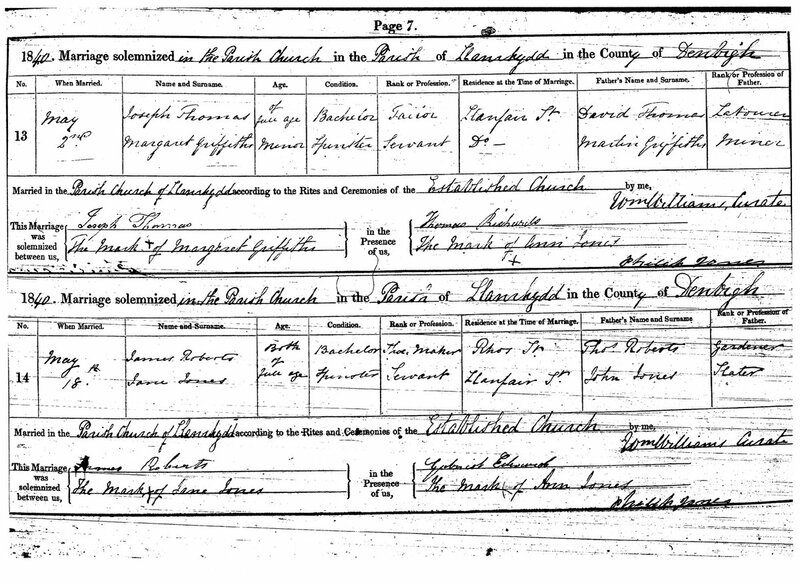 Joseph's daughter Mary married William Jones in 1869. 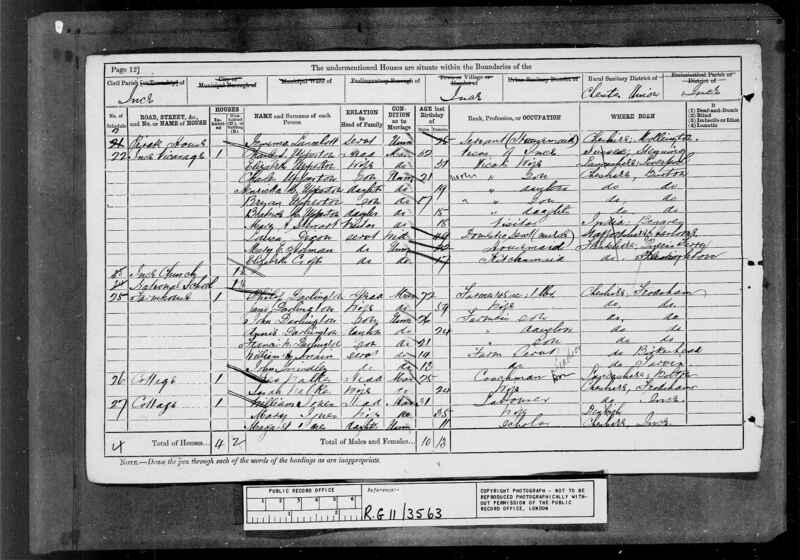 William Jones's son John Jones married Alice Brown (1894), their daughter was Frances Annie Jones who married (1919) Frank Horrocks. Ken Horrocks' father. 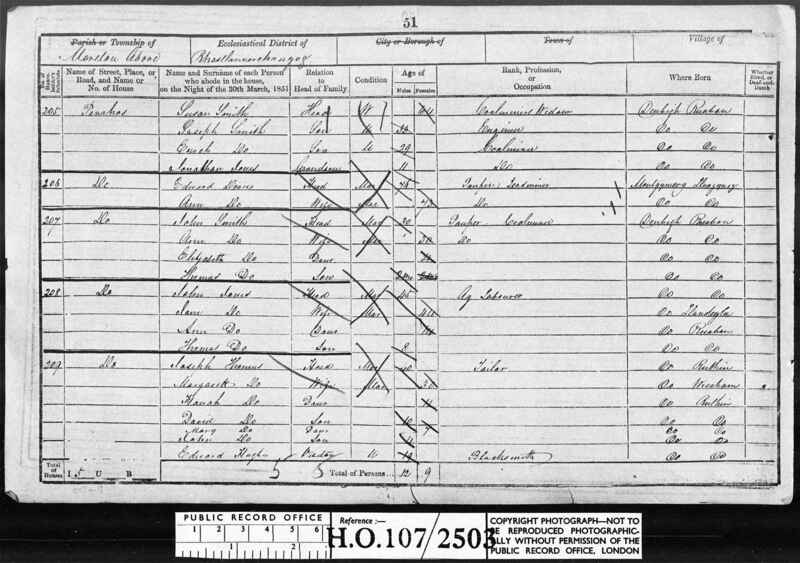 1851 Census The Census shows John Jones(29) an agricultural labourer, and wife Margaret (24) resident at Church House, Ince; along with Elizabeth (6), Anne (5), William (1) and Margaret (under 1). John Jones was born in Thornton, Cheshire, Margaret in Ince, and Elizabeth in Birkenhead. 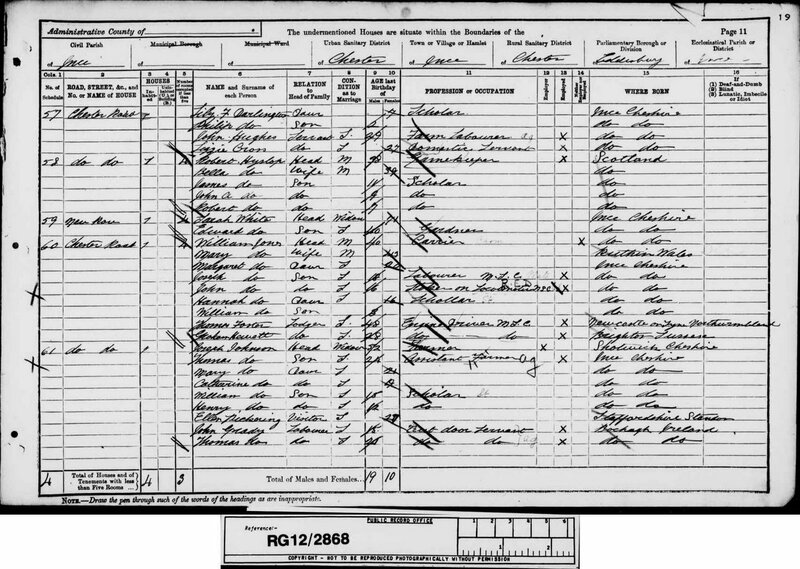 1851 Census The Census shows Mary Thomas (7) with her father Joseph Thomas (40 -Tailor) his wife Margaret (30), their daughter Hanah? 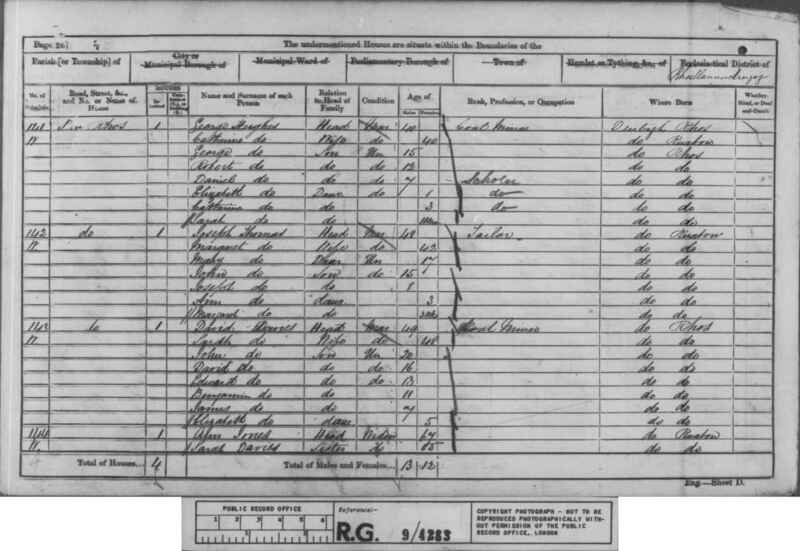 (11), son David (10), son John (4) and a visitor Edward Hughes (Blacksmith) all resident at Moreton Above, Penrhos, (near Rhosllanerchgrugog). Joseph, the father, and his son David are both shown to be born in Ruthin. The remainder of the family were born in Wrexham. 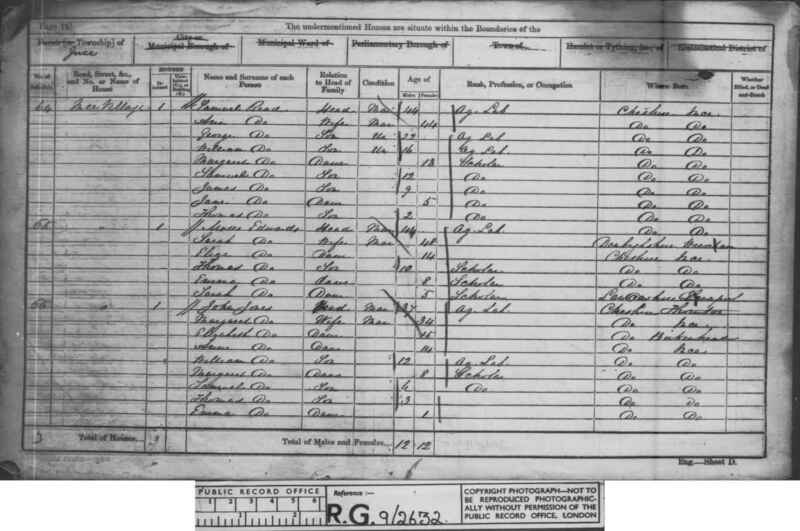 1861 Census The Census shows John and Margaret Jones resident in Ince Village - young William (12) is an agricultural labourer. 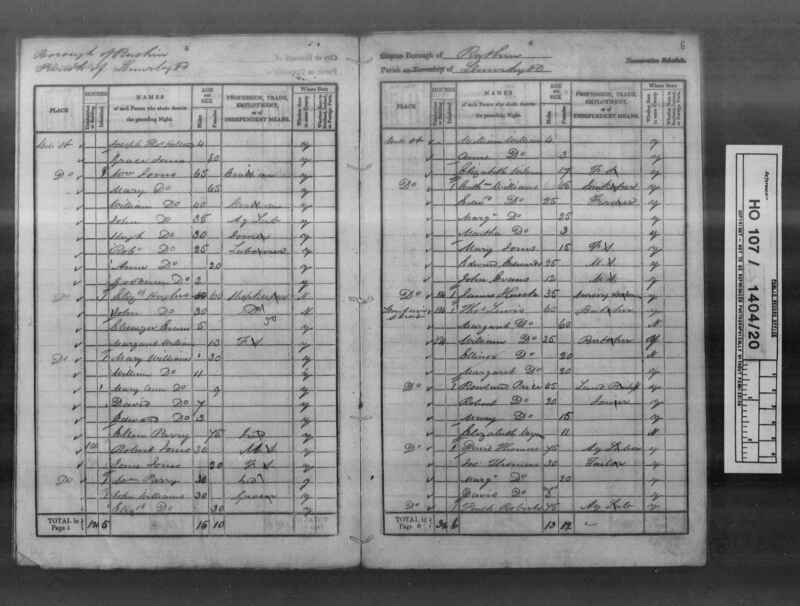 Page 1 shows - William Jones (31) Labourer and wife Mary Jones (nee Thomas)(35) - born in Rhosllanerchgrugog, Denbighshire, Margaret Jones (11),were all resident at the Cottage Ince, the grounds of Ince Hall Cheshire. 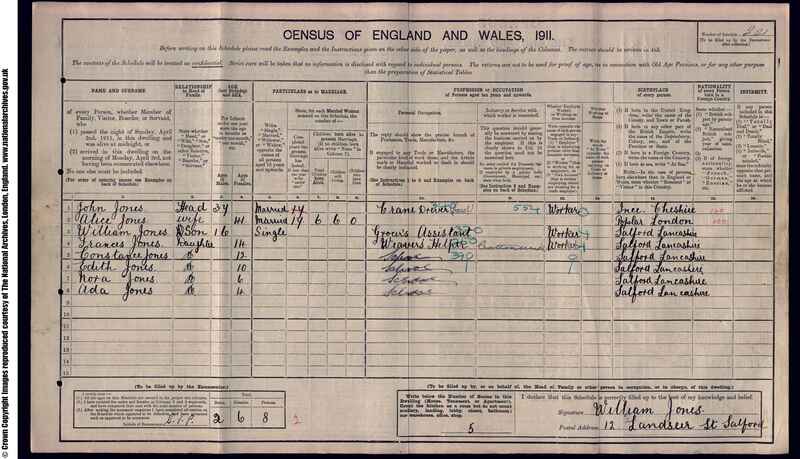 The census form shows Mary to have been born in Denbighshire. 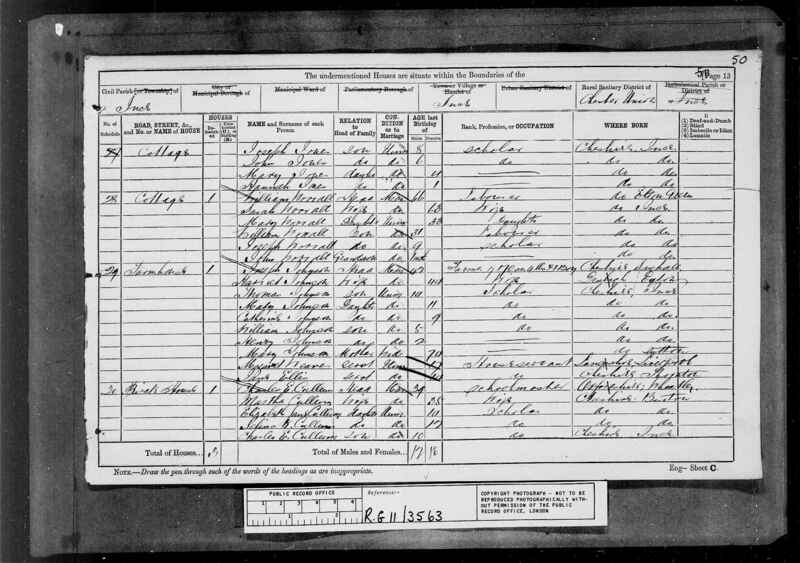 1891 Census William (40), Mary (43), Margaret (20), Joseph (18), John (16), Hannah (16?) and a new William (3) were all living at Chester Road Ince. Joseph and John both worked on the Manchester Ship Canal: Joseph as a labourer and John as a Stoker on a locomotive. They also had two Ship Canal Engine drivers lodging with them. 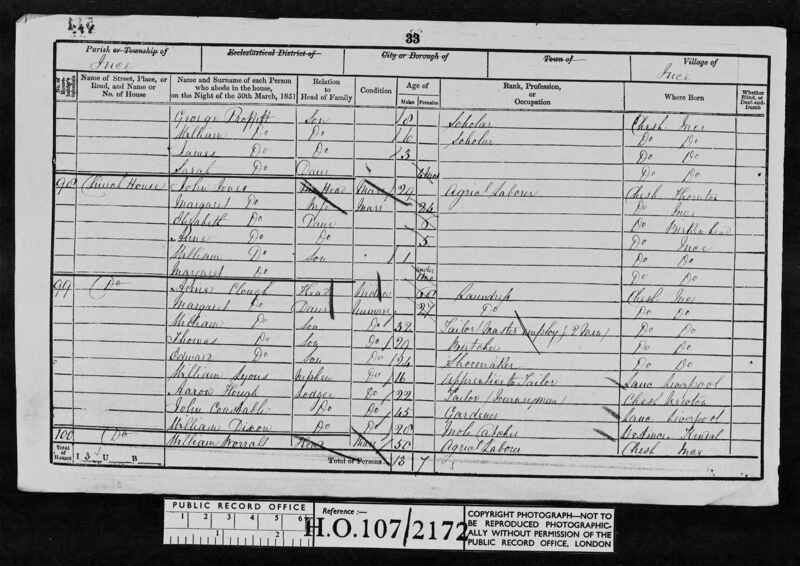 1896 Census Frances Elizabeth (Annie) Jones born to John Jones and Alice Jones in Salford. John (34) and Alice Jones (41) still at 12 Landseer St, with William (16) a Grocer's assistant, Frances (14) a Weaver's helper, Constance (12), Edith (10), Nora (6) and Ada (4). 1919 Frances (Annie) Jones married Frank Horrocks. 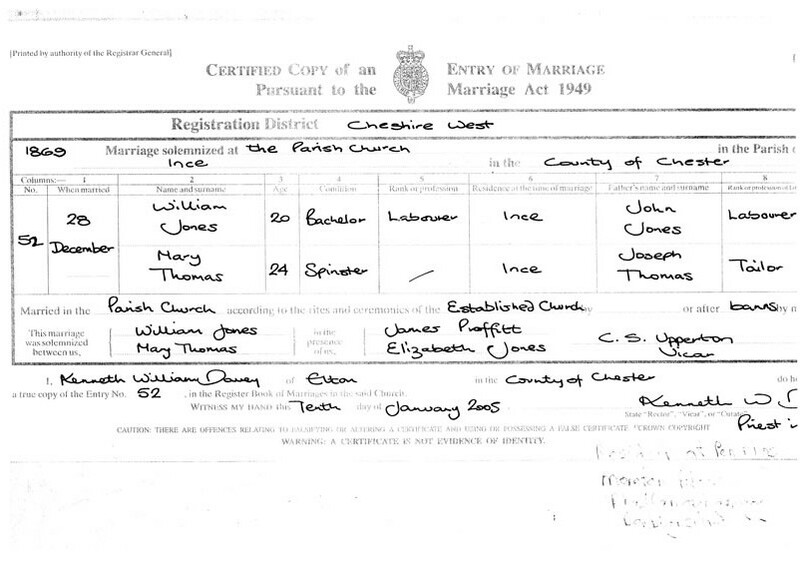 Marriage certificate also stated that John Jones (Annie's father) was a foreman Steam Crane driver at the Docks.